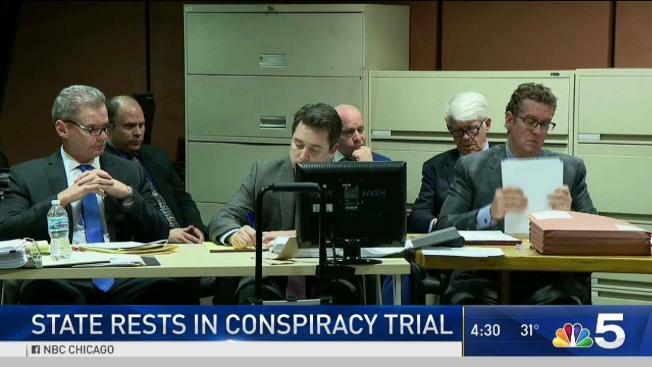 NBC 5 investigates the alleged cop cover-up trial. 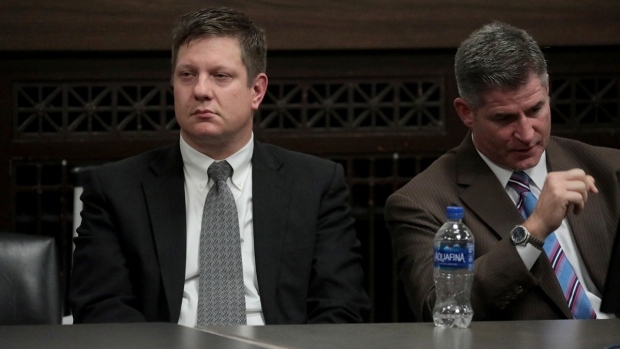 Three officers are accused of lying about the night Jason Van Dyke killed Laquan McDonald. Phil Rogers has the latest. The state has rested its case in the latest prosecution stemming from the shooting four years ago of teenager LaQuan McDonald. Closing out their case in a high-profile police corruption trial triggered by the killing, prosecutors presented a series of emails suggesting CPD brass circled the wagons in the months following the shooting, in hopes of helping officer Jason Van Dyke, who shot McDonald 16 times. Wojcik and Gallagher are not among those charged in the case. But their names came up Tuesday in testimony where former detective David March, former officer Joseph Walsh, and officer David Gaffney, face charges of conspiracy, obstruction of justice and official misconduct. Another email indicated that Ron Hosko, the president of the Washington D.C. based Law Enforcement Legal Defense Fund, had received a copy of case documents and the infamous McDonald dashcam video, at least six months before that video was ordered released by court order. Prosecutors presented emails suggesting the packet of documents and the tape had been delivered by a former official of the Fraternal Order of Police, Thomas McDonough. Postings on the FOP’s web site indicate McDonagh was the union’s onetime legal defense chairman. Kevin Graham, the FOP’s current president, confirmed that McDonagh had worked on the staff of a previous union administration, but said he had no knowledge that the FOP had ever had possession of the controversial dashcam video prior to its formal release. On the stand, Steve Maris, the director of information services for the Chicago Police Department, said that releasing confidential case files like those to an outside agency would have been a violation of departmental rules. After the state rested its case, defense lawyers argued for judge Domenica Stephenson to throw the case out without any need for a formal defense. McKay, who represents March, said there had been no testimony contradicting the idea that his client had meticulously gathered evidence in the case, and that in fact, it was March who inventoried the dashcam video which became central to Van Dyke’s prosecution. It would be wrong, the attorney suggested, for McKay to be held accountable now, for conflicting information found in notes taken the night of the shooting. Prosecutor Ron Safer argued that the paperwork prepared by the three defendants which was “false beyond any doubt,” proved they had made a concerted effort to mislead the investigation. Some of those reports consisted of mere check boxes on a computer form. But Safer argued that even those represented an effort to create a false narrative. The judge rejected the defendants’ motions for a directed acquittal. The case is scheduled to resume Thursday at 11:30 a.m.